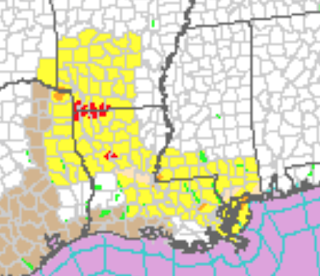 The yellow is a tornado watch until 9pm and the red are tornado warnings. 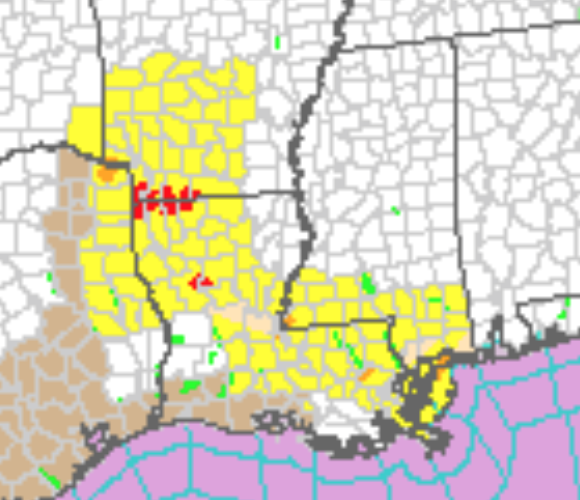 There are indications that the storms in central Louisiana may begin to strengthen and increase the chance of overnight tornadoes farther east. Stay tuned.